Your employees will appreciate the blown glass business card holder. Or thank your clients for the business with sand “dollars.” Tell your colleague she’s a “Star” with a sea star sculpture. Give the ultimate Washington gift that also benefits the White Center Food Bank: a glass apple. 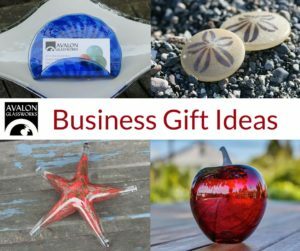 Visit us at Avalon Glassworks for even more business gift ideas or shop online at our Etsy Store.